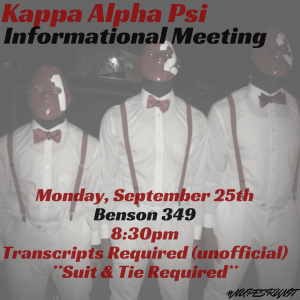 We are pleased to announce an informational meeting for Kappa Alpha Psi Fraternity, Inc. It will be held on Monday, September 25th at 8:30pm in Benson 349. Please review the flier below for more information.